There’s something delightfully nostalgic about venturing out to a drive-in movie theater. After all, these types of theaters are getting increasingly hard to come by these days. However, there is still a handful left of them in Idaho and they are so worth finding. There’s one historic drive-in theater that you’ll definitely want to have on your radar as soon as it opens for the season. Bring some blankets, grab a tub of popcorn, and snuggle up. This vintage drive-in is begging for a visit. 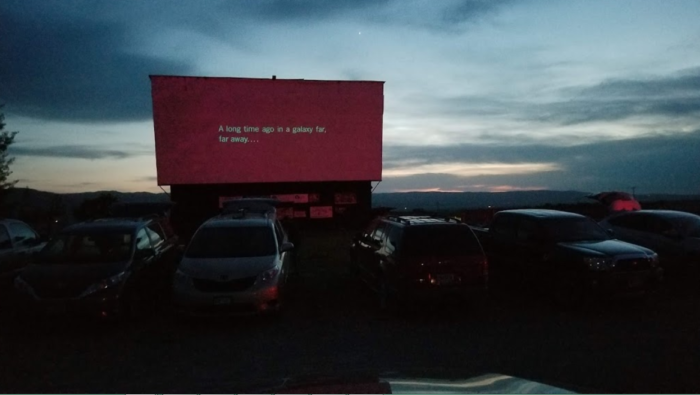 Drive-in theaters may seem like a thing of the past, but a few are still around here in the Gem State. 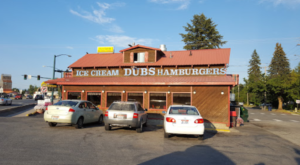 One of the most notable is the Spud Drive-In in eastern Idaho and it's an utterly charming place to spend the evening. 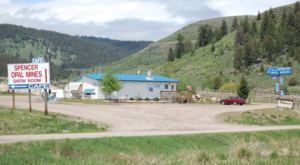 Surrounded by wide open fields, the Spud Drive-In Theater is located in between the small towns of Victor and Driggs. 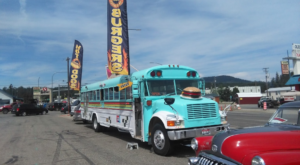 Featuring a giant potato on the back of a 1946 Chevrolet flat-bed truck, the entrance isn't hard to find! 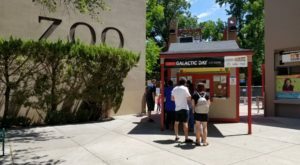 Idahoans have been enjoying movies under the stars at this particular drive-in since it first opened in 1953. 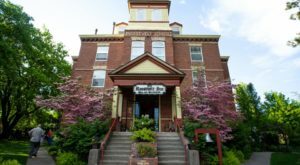 Financial hardships threatened to close it all down in 2011, but arrangements were made to keep it alive. It's evident that this place is well loved, that's for sure. 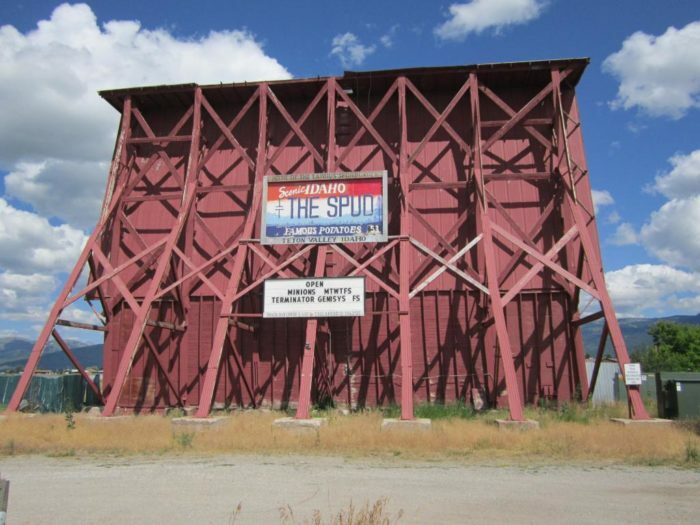 In fact, The Spud is even listed on the National Register of Historic Sites in Idaho. So watching a movie at this 60-year-old drive-in is like taking part in one of Idaho's most beloved traditions. 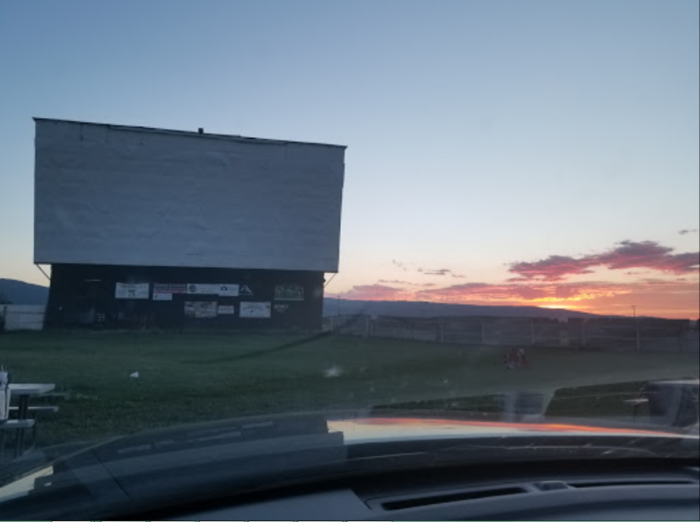 The drive-in will open during spring and shut down again for the winter. They play double features on the weekends, the schedule of which is listed on the humble marquee on the backside of the movie screen. Movies always start around 20 minutes after sundown. If you didn't know any better, you may just feel like you've traveled back in time to a different era. With the mouthwatering smell of popcorn popping in the air, the quiet hum of radios emanating from vehicles, and vast swaths of nothingness surrounding the theater, this theater is like a time machine back to the good ol' days. 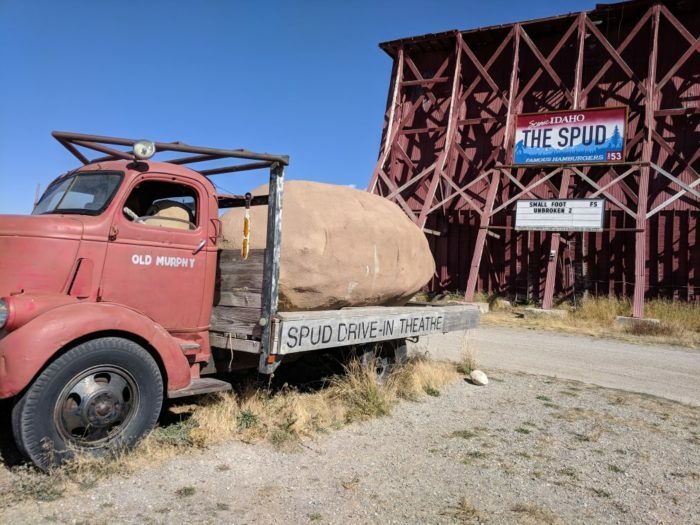 Visiting The Spud Drive-In is like taking part in Idaho history. 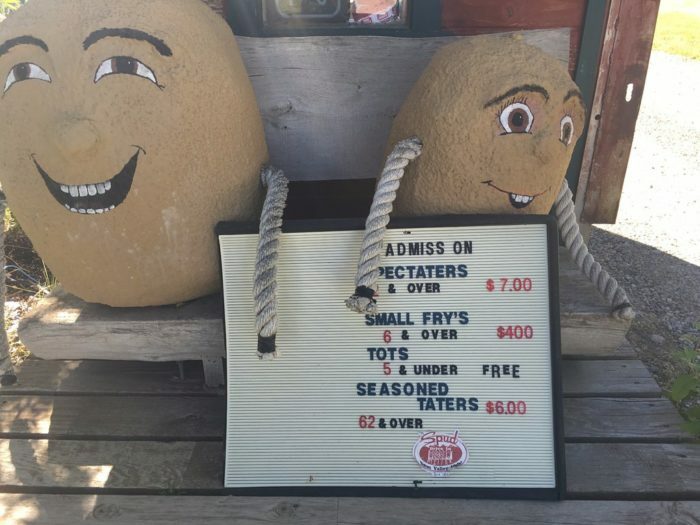 Be sure to catch a movie there soon, and don't forget to take a picture with the giant potato! 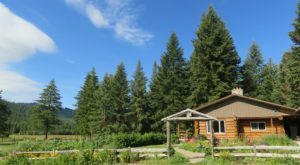 You'll find the theater located at 2175 South, ID-33, Driggs, ID 83422. 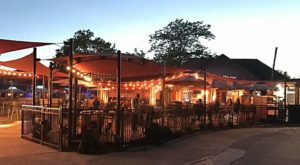 Be sure to check The Spud's website here for updates regarding when they will open back up for the 2019 season. 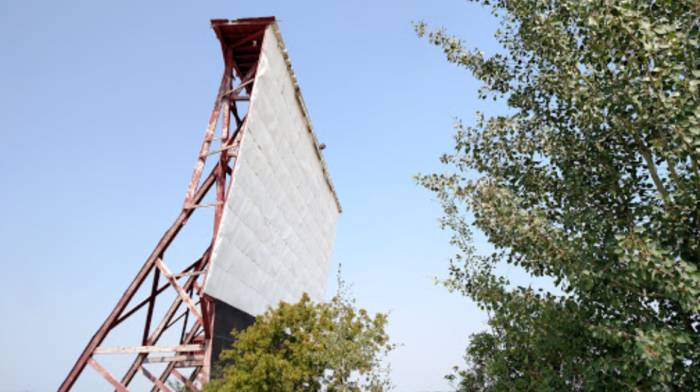 Have you had the opportunity to check out this historic drive-in theater? 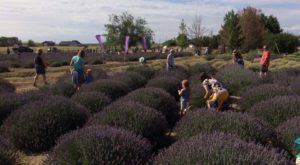 We can’t wait for the weather to warm up so we can visit! 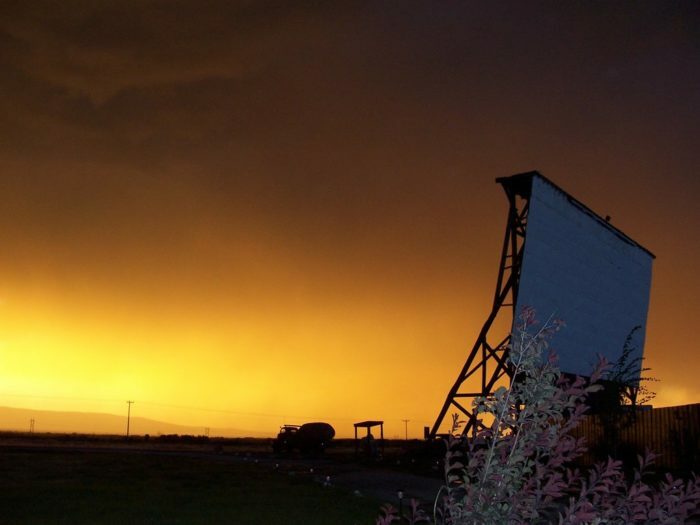 For more vintage finds, check out our list of 7 Good Old-Fashioned Drive-In Movie Theaters In Idaho.